As we dive into the flurry of the busy season in the Foundation world, I hope you take a moment to reflect on all that you were able to accomplish on behalf of kids this school year. One of the Lincoln School Board Members shared with me that he felt like the Foundation provided the" Magic at the Margins" of public education. It is in the small spaces and the individual experiences that our work makes the most impact--that scholarship that sent a kid to their dream school, the classroom who got to see a once in a lifetime performance, that science project that made it to nationals...This magic is what allows kids to maximize their great public education! Don't we have the best jobs in the world? Like our students, we owe it to each other to continually learn and grow and discover what we can achieve together. To take what we have learned, share it with our colleagues and together make even more magic in the margins. To date, we have 22 members who have joined NAPSF. We hope more join us as we grow. Small groups are gathering all across the state to build friendships and share ideas and quite frankly to have time with someone who speaks their language and understands their challenges. 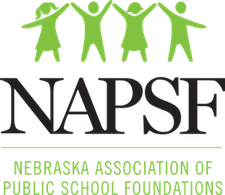 As I attended the NSFA conference this spring in Chicago, I was struck by the strength of Nebraska School Foundations. Everywhere you looked, you could see the impact of our Public Schools and our School Foundations in the national dialog. You do great work. Congratulations! I would be remiss if I didn't shout out to the amazing accomplishments of Traci Skalberg, Executive Director of Grand Island Public Schools, Ingra Winkler-Anderson, Executive Director of the Bellevue Public Schools Foundation and Toba Cohen-Dunning, Executive Director of the Omaha Public Schools Foundation who are three of just a handful of Certified Education Foundation Leader's in the country! But magic happens all over our great state...in all the districts, big and small. The Foundation is the place where our communities meet their schools in partnership. Thank you for the work you do every day and thank you for helping us to continually improve our efforts to bring more resources to students! Wow! Nebraska had quite a contingent in attendance at the National School Foundation Association national conference in Chicago in March. I think I counted twelve of us? 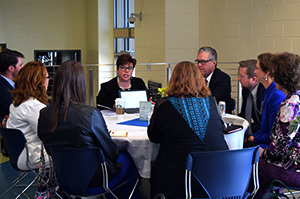 There were representatives from Elkhorn Public Schools Foundation, Omaha Public Schools Foundation, Foundation for Lincoln Public Schools, Norfolk Public Schools Foundation, South Sioux Public Schools Foundation, Ralston Public Schools Foundation, Bellevue Public Schools Foundation, Westside Foundation, and the Grand Island Public Schools Foundation. 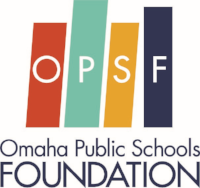 Speaking of the National School Foundation Association, our own Toba Cohen-Dunning, from Omaha Public Schools Foundation, has just joined the organization as a board member. 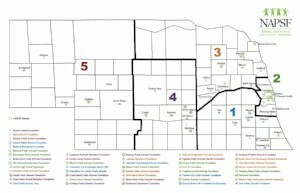 If you are counting, that makes two board members from our good state of Nebraska! 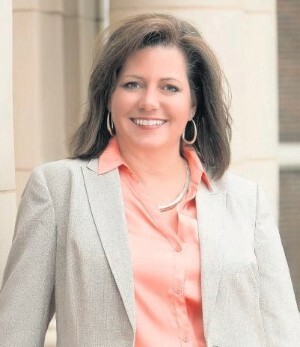 Traci Skalberg, Grand Island Public Schools Foundation is also on the board and has just been elected Vice-President. You can get involved too! 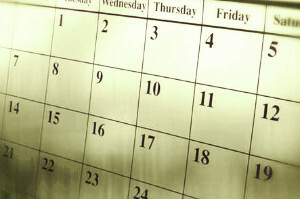 The NSFA has several working committees that meet electronically monthly or as needed. Ingra Winkler Anderson, from Bellevue, serves on the NSFA Board Certification Committee. Summer is the time to recharge your batteries and spend time with supportive colleagues. Kearney Public Schools District Offices, 310 W. 24th Street. Turn on 22nd Street and park in the lot south of the building. Click here for a map. RSVP to Traci Skalberg, tskalberg@gips.org by Thursday, June 8. We will address the questions and ideas you have that make us all better at providing resources for Nebraska's students! Come with a question and guests! We encourage you to bring your board, district stakeholders or donors to learn how you can continue to enhance the great work you are doing in your community. RSVP to Korena.varejcka@lps.org by Thursday, June 8, 2017. Yet as the combined income and property tax cut bill known as LB461 emerged from committee and to the floor for debate, there was a uniquely unified voice among constituent groups. 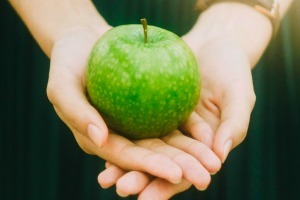 Left and right leaning ag groups, tax reform and social justice organizations, and rural and urban schools came together and affirmed that this legislation would appease no one. Instead, this bill would leave Nebraska’s schools and communities without the funding they need while offering little in the way of tax relief for farmers, ranchers, and everyday Nebraskans. These unlikely partnerships were also reflected in the senators’ votes, which brought debate on the bill to an end for this session. Despite reluctance to push back a bill without a clear alternative in hand, the conversations that began as opposition to an ill-crafted bill have turned into a commitment to developing a solution founded in consensus. With this resolve, unlikely partners will continue to work together to find a way forward that balances the need to fund schools and communities and property tax relief for Nebraska’s farmers and ranchers. Tuesday, May 23, 2017 from 12:00 p.m. to 1:00 p.m. (CDT) Toba Cohen-Dunning will be presenting this webinar.